What do those bikes mean? Why bikes? What did you notice on the bike? We asked viewers their thoughts on Dylan Miner's entry into ArtPrize, which made it into the Jurors' Shortlist. Mon-Sat: 12:00 p.m.- 8:00 p.m.
Sunday: 12:00 p.m.- 6:00 p.m. 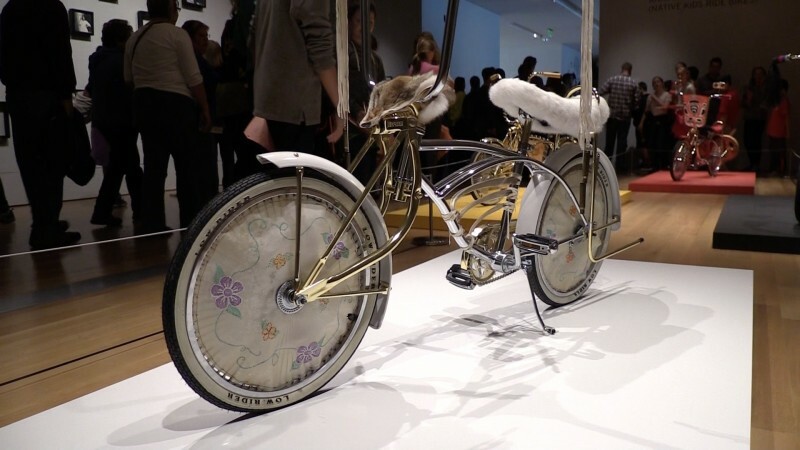 The Rapidian and GRTV went down to the Grand Rapids Art Museum (GRAM) to find out what people were thinking about after viewing Anishinaabensag Biimskowebshkigewag (Native Kids Ride Bikes) by Dylan Miner. 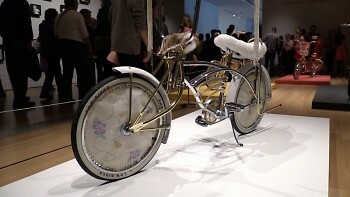 The piece presents four Lowrider bicycles, outfitted with traditional imagery and adornment from native culture. "Miner collaborates with urban Native youth in an attempt to connect contemporary youth culture with traditional stories, art making and Indigenous knowledge," according to the artist's statement. Miner's ArtPrize entry was selected by juror Sarah Urist Green as a three-dimensional category finalist in the Jurors' Shortlist.